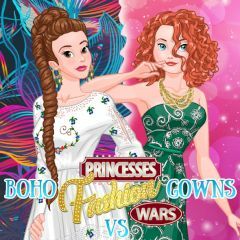 Belle and Merida battle against each other in fashion wars. Take care of each princess and select the most beautiful outfit. Show it and get scores!